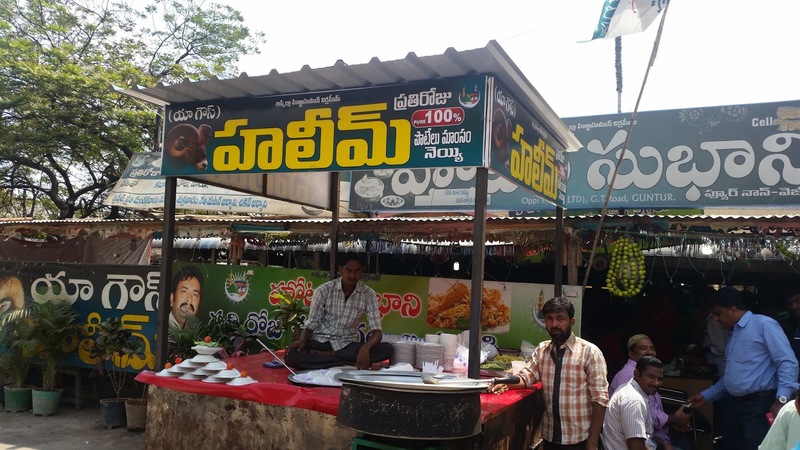 I was on a trip to Tenali to visit my friend, and he insisted on taking me to this biryani joint in Guntur about 30 kilometers off. He also advised that we go early in the day as the biryani here gets over very fast. So, without much ado, we drove down to Hotel Subhani by noon. 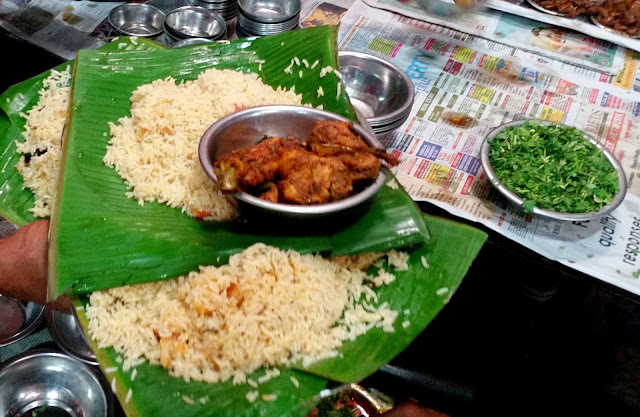 Hotel Subhani is a shack type of restaurant bang opposite the ITC factory in Guntur. As you approach the place you can see a small crowd gathering and a large number of bikes and cars packed all over. On entering, it seemed to me that I have entered a busy market. A space having seating capacity for around hundred people was choc-a-block, and another hundred customers were standing and eating biryani. More people were outside either trying to get in or crowding the haleem stall under the hot sun. 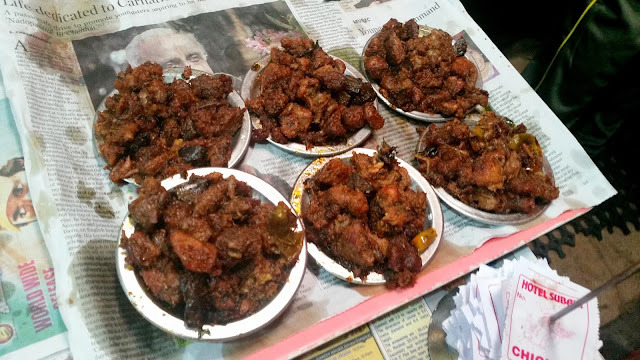 Five staff members were pouring out biryani continuously from a huge handi, and a waiter passed by me carrying around ten plates of mutton kabab. The whole place basked in the aroma of non-vegetarian food, and the foodie in me was transported to a different world. The next task here was getting a seat. We elbowed our way to a table and waited patiently till people finished their biryani. Yes, you cannot wait here for three seats to be vacant, you need to grab each of them as they come. The Mutton Biryani (Rs 240) was served in no time. It was a dum biryani but much less spicy than its Hyderabadi counterpart. However, their proprietary masalas gave a very different flavour. On the table, there were three containers with salan, raita, and their famous Gongura Chutney. I just needed the thick chutney to go with the biryani, and it was polished off in no time. 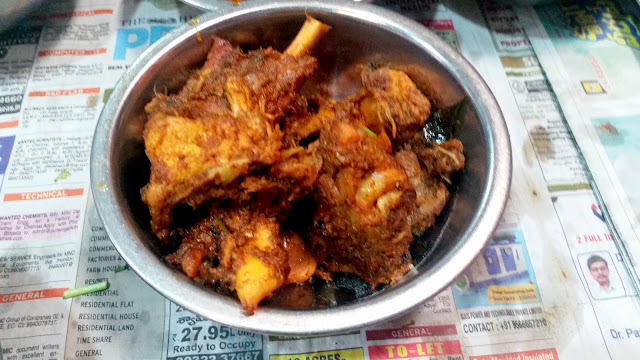 The mutton was well cooked and it easily came off from the bones. 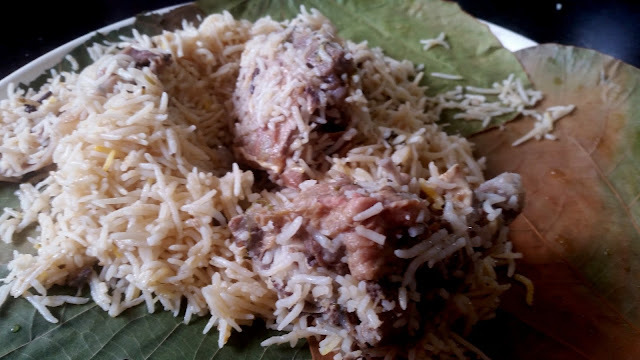 Next came their signature dish Khichri (a variant of biryani rice) with Mutton Kabab (Rs 120). The kabab was essentially fried boneless pieces of mutton again marinated in a proprietary masala. My friends told me that khichdi here sells at the rate of five plates a minute. In the background, I heard a waiter screaming that mutton biryani is over, and now the people would have to do just with the chicken variant. By the way, Mutton Biryani is only available on Tuesdays, Fridays, and Sundays. We met the owner of this place, Mr. Subhani. 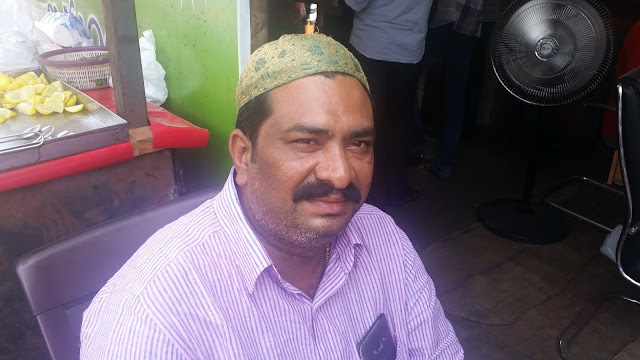 He told me that he had started this place about ten years back, and today he has people from Tenali, Guntur and Vijaywada driving down all the way to have lunch here. Apart from biryani, khichdi and mutton fry, the fast moving items here are Chicken Curry, and Chicken Fry. 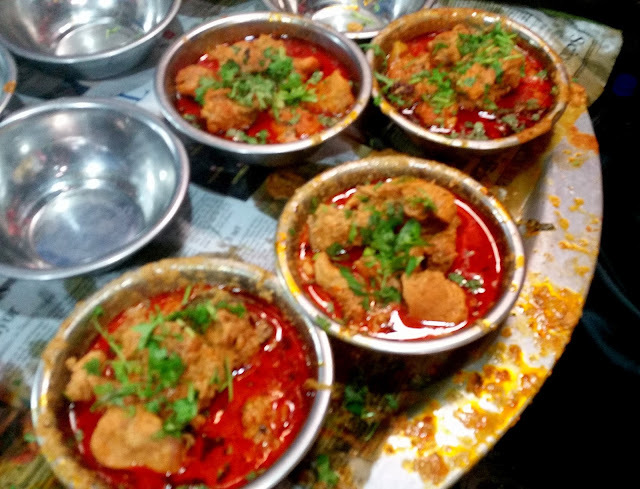 Other delicacies from Andhra Muslim cuisine like Bheja and Gurda are also served. 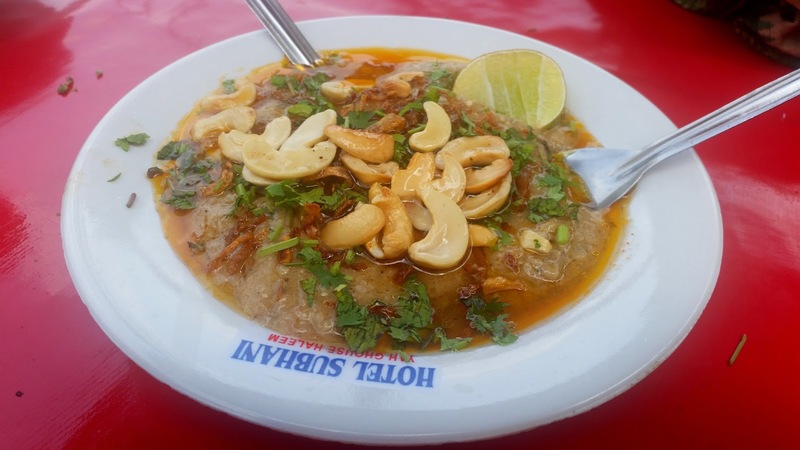 Mr. Subhani wanted us to try out their Haleem. He told me that he has started serving haleem regularly and plan to do it throughout the year. Being from Hyderabad, I was not very enthusiastic initially and agreed to taste a bit. 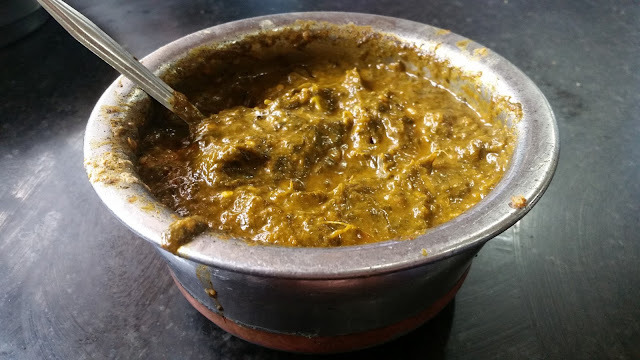 However, the haleem turned out to be on par with the best places in Hyderabad, and I ended up finishing the whole plate (Rs 100). The owner recalled that Aditya Bal of NDTV recently visited them for a shoot. The crowd outside had actually increased by now and people were jostling to get in. We thanked the staff and left. This place is not to be missed for any food lover visiting Guntur, Tenali or Vijaywada. A great place for trying out authentic Andhra Muslim cuisine. 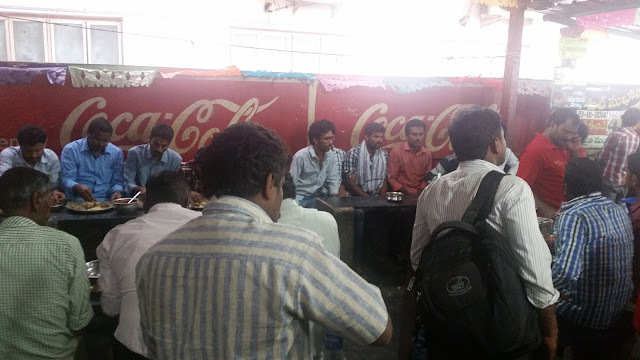 Bilal is also famous there fir biryani :) we guntur people were always fond of food.